Lot of 2 – Augsburger is 3 1/2 inch, 1-sided and from the 60’s. Strohs is 3 1/2 inch, 2-sided and newer vintage. 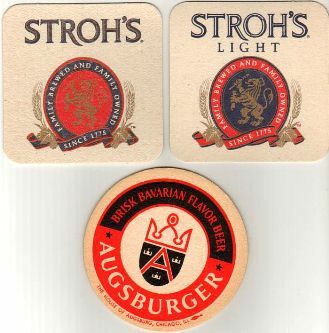 Photo shows both sides of the Strohs. Both are in great shape.